Restaurateurs, Chefs and industry suppliers enjoyed a very successful networking day at the annual Restaurants Association of Ireland Restaurant Symposium on the 24th March. 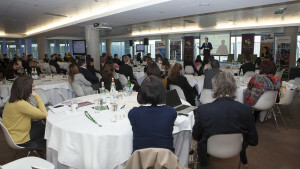 Chaired by national broadcaster and presenter Ella McSweeney, the symposium explored the theme of Innovation, Education and Culinary Enterprise and some of the biggest names in the industry came together to share insights, nurture ideas and to help formulate strategies that will help drive their business over the next twelve months. Henry Dimblely of Leon Restaurants (https://www.youtube.com/watch?v=6ABySRLEjVs ) was present, whose concept is to create fast food that is healthy. In 2012, he was asked by the government to produce a blueprint for improving school food and food education in Britain. Together with John Vincent, he produced the School Food Plan – one of the biggest shake-ups of school food for a generation. It has overseen, among other changes, the introduction of cookery lessons for all children up to the age of 14, universal free school meals for infants, and new standards for the food served to children in schools. Chief Executive of the Restaurants Association of Ireland said that’ ‘Henry’s insights in to the UK School Food Plan were refreshing to hear. The Association plans to run its schools cookery competition again in September, pairing up local schools with their local restaurants chef. We have initiated a Kids Size Me Initiative that restaurants can sign up to and this involves restaurants serving half size portions of adult meals rather than the nuggets and chips standard meals. Many of the ideas that Henry talked about at our Symposium should defiantly be considered by Government. With the proposals to display calories on menus, Henry said that it would be non-sensical, costly and above all would not be the answer to the obesity issue. John Mulcahy of Fáilte Ireland was the first speaker of the day discussed the new Foodstory toolkit that Fáilte Ireland have created for food businesses throughout the country. It is a free resource packed full of engaging content and inspirational advice to help you create your own unique food story. The panel was chair by Dr. Máirtín Mac Con Iomaire, Culinary Arts Lecturer, DIT who oversees the culinary PHD and explored the topics of the critical success factors for restaurants as well as Chef competencies. Michael Carey, Chairman of Bord Bía, outlined Bord Bía’s plans for the year ahead. He also shed some interesting statistics with the conference delegates including that Ireland produces enough food to feed 40m people every week and that Ireland is now exporting 90% of what we make. The Restaurants Association of Ireland would like to thank Hugh Jordan and Failte Ireland for their support of the Symposium. Henry Dimbleby is co-founder of the award-winning Leon Restaurants. In addition to writing a column for The Guardian and popping up on Radio 4’s Kitchen Cabinet & BBC’s Saturday Kitchen, he is co-founder of the not-for-profit Sustainable Restaurant Association. Henry started his career as a commis chef with Michelin-starred chef, Bruno Loubet, before joining The Daily Telegraph. From there he moved to Bain & Company, a management consultancy firm, where he met John Vincent. They spent a lot of time together on the road, travelling for work, where all they found to eat was delicious but life-destroying fried chicken or cold, neon-lit sandwiches. Infuriated by the difficulty of finding tasty, nutritious food on the run, they resolved to do something about it. And so Leon was born. In 2012, he was asked by the government to produce a blueprint for improving school food and food education in Britain. Together with John Vincent, he produced the School Food Plan – one of the biggest shake-ups of school food for a generation. It has overseen, among other changes, the introduction of cookery lessons for all children up to the age of 14, universal free school meals for infants, and new standards for the food served to children in schools. Michael is Executive Chairman of ‘The Company of Food’, a specialist food investment business with shareholdings held in a number of private and public food companies. He is also current chairman of Bord Bia and chairman of the Grow Dublin Tourism Alliance. Michael is non-executive chairman of Zaragoza Restaurant, a member of the Advisory Board of the Smurfit Graduate Business School, and non-executive director of Drury Porter Novelli PR. He is a judge on the EY Entrepreneur of the Year Awards, chairman of the judging panel for the Business Journalists Awards and a member of the board of both Traidlinks (a private sector NGO with activities in East Africa) and the Soul of Haiti Foundation. Prior to his current roles he was majority shareholder and chairman of Jacob Fruitfield Food Group. He has held various senior management roles in the food industry including the Managing Director role at Kellogg’s UK/Ireland, Fox’s Biscuits, and Evian/Volvic (UK). He won the EY Industry Entrepreneur of the Year Award 2005 and Smurfit Graduate Business School Alumnus of the Year 2010. Michael is married to Alison Cowzer and they have two daughters. Colleen Curtis, Vice-President European Marketing, YELP! Colleen is VP EU Marketing at Yelp, where she leads all of the company’s community teams across Europe. Previously, she worked with teams of Community Managers in the United States (Midwest and East Coast) to nurture vibrant local communities in an effort to connect people with great local businesses. The crux of her work was, and still is, to build awareness, facilitate fun, support the local effort and network within communities. Her specialties include: street marketing, community development, project management, training, public relations, event direction and creative process management. Colleen is an avid writer herself, having clocked over 2400 reviews of local businesses on her way around the world! She is always on the hunt for the next cool, interesting or wacky business to write about. Ian has over 30 years’ experience in business. Having held senior management positions in banking and insurance, he set up his own business in 1995. Since then Ian has worked both nationally and internationally with senior executives and management teams across many industries including banking, insurance, hospitality, health care, pharmaceutical, telecommunications, IT, manufacturing, agriculture, recruitment and hedge fund administration. Since 1995 Ian has been mentoring with executives, from CEO to junior level, across a full range of industries. His ability to question, listen and interpret, coupled with the way he creates a safe place for consultation allows him to help the individual reach their true potential. 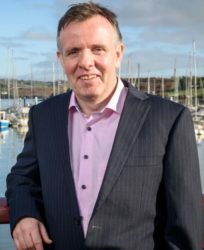 John works with Failte Ireland, the Irish National Tourism Development Authority, where he is currently responsible for policy and operations in Food Tourism, Education, and Tourist Accommodation Standards. 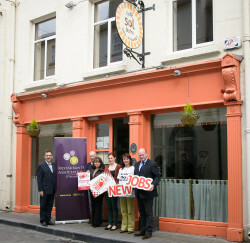 As part of the wider Failte Ireland strategy, his key priorities include the development and roll out of a new tourist accommodation standard later this year, assisting tourism and hospitality employers to establish a culinary apprenticeship through the Apprenticeship Council, and supporting tourism businesses to implement the Food Tourism Activity Plan 2014 – 2016. Given the theme this year, ‘Innovation, Education and Culinary Enterprise’, John will be helping restauranteurs identify some innovative approaches, developed by Failte Ireland and their partners, to improving business and awareness. John has an MA (Gastronomy) and an MSc (Hospitality Mgt), informed by his experience as a pub, restaurant, and food service operator on three continents, and as an educator. 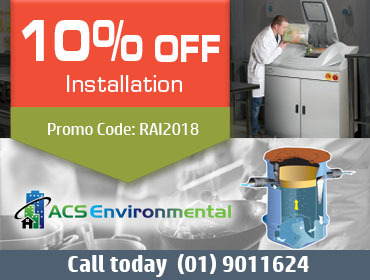 Máirtín Mac Con Iomaire is a lecturer in Culinary Arts in Dublin Institute of Technology, Cathal Brugha Street since 1997. He is the first Irish chef to be awarded a Ph.D. for his oral history of Dublin restaurants 1900-2000 (http://arrow.dit.ie/tourdoc/12/). 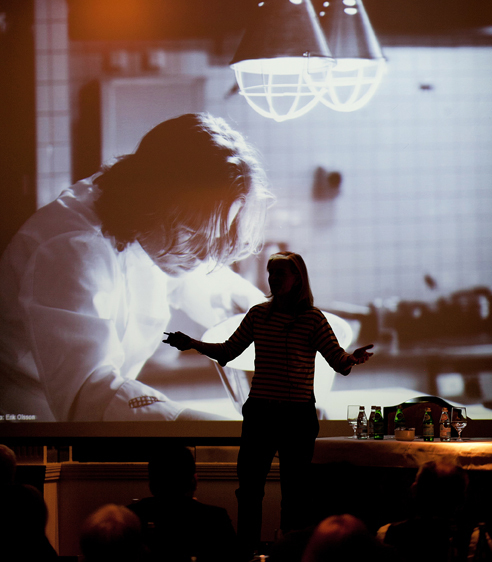 He is an award winning chef, food historian, broadcaster, ballad singer and storyteller. Máirtín has been a long time contributor at the Oxford Symposium on Food and Cookery. He is the co-founder and chair of the biennial Dublin Gastronomy Symposium and co-editor of ‘Tickling the Palate’: Gastronomy in Irish Literature and Culture (2014: Peter Lang). He is currently supervising a number of PhD candidates investigating Irish food history and contemporary issues around chefs, kitchens and critical success factors for restaurants. He has recently been collaborating with Bia Beatha – the monthly Irish food history supper club. Michael Deane has revolutionised the eating out scene in Belfast. He has held a Michelin Star for 12 years, the longest ever in Ireland. He puts his consistent success down to a winning team of 100 professionals working throughout all seven Deane’s restaurants, each one of whom takes responsibility for providing the best local food, cooked with flair and imagination and served to perfection. At Michael Deane’s restaurants, the food is straightforward but inspired, just like the man himself. Katie Cantwell founded KC Peaches in 2006 after she discovered an absence of healthy, affordable fast food in Dublin. Working long days and nights in corporate consulting, she found herself hard-pressed to eat as she did in her native Pacific Northwest with a focus on sustainable, all-natural, preservative-free fare. With a passion for food cultivated in her native Seattle and nurtured in France and San Francisco, she yearned to bring the fresh, flavourful food she prepared for herself when time allowed to the masses. Noel is wine educator at Febvre Wines and organises wine training for their customers. He is also the fine wine specialist for Febvre. Restaurateur Donal Doherty’s business model is simple and inspiring – he sources everything locally from the beautiful peninsula of Inishowen in Donegal for his restaurant Harry’s. Using the best quality produce direct from the fishermen, farmers and growers of Inishowen, Harry’s is listed in the latest edition of John & Sally McKenna’s 100 Best Restaurants in Ireland. If that wasn’t enough, they have a two acre walled garden which adds even more flavour to their mouth-watering menus and their weekly Saturday food market. Donal has successfully leveraged Harry’s unqiues story through another passion of his – social media. Relatively unheard of just five years ago, Harry’s has become a best practice example across the country, earning the boasting rights to one of the most local menus in Ireland!